You’re from Punxsutawney, PA. What is your favorite thing about your hometown? Mainly because of the Bill Murray movie Groundhog Day, a lot of people already know what Punxsutawney is and I don’t have to explain it. It’s taken on a sort of mythical reputation so it’s almost like telling people I grew up with Santa Claus or the Easter Bunny- making my childhood seemingly much more interesting than what it actually was. What made you decide to move down to Florida from Pennsylvania? Have you been to Pennsylvania? You went to Penn State. I’m so sorry. (Apologies, this is Alex, and I have a clear Pitt bias.) What is your favorite memory of being a Penn State student? Ha. Well, in recent memory it was our victory over Pitt at 51-6 on Sat. Yikes. Other than that, tailgating and going to Penn State games at Beaver Stadium...or even just watching them at one of the bars downtown. In general, going to a school with such a strong sense of spirit and identity was a really fun experience. Where was your favorite place to go out in Happy Valley during your college days? Probably the Rathskeller and the Phyrst. I guess I had a thing for dingy pubs back then. I was raised with a sense of civic duty and social awareness sort of drilled into me. My dad was a very active civil rights attorney when we were kids and he used to do things like print out news articles for my brothers and I to read while we ate breakfast every morning. In a way, we were raised to be very aware of the injustices of the world. The only thing I ever remember him watching on TV was John Wayne movies and MSNBC. Anyway, for me it’s sort of a blessing and a burden that I don’t really feel fulfilled unless I’m somehow involved in trying to improve my community. Local politics seems like the most effective and possibly widest-scale way to do that. A question for our President--who is your favorite United States President, living or deceased? I’m a sucker for old fashioneds and/or Manhattans (preferably made with rye whiskey.) Lately though, I’ve actually been on a Mezcal kick. All of your fellow board members know you love a good old fashioned. What type of whiskey is your favorite? Do you take your whiskey neat or on the rocks? If it’s straight bourbon or rye, I like it with one big ice cube...or better yet a chunk of ice chiseled off of an ice block. If it’s scotch, neat. I don’t really get asked on dates, I just randomly get phone numbers now and again...and I guess I’m supposed to take it from there. A girl a few rows behind me on plane passed me her phone number on a napkin once. I’ll get a number on my receipt from a waitress or bartender every once in a while. I like different things from different cuisines, hard to pick a favorite. Depends on my mood. I love sushi and ramen, I’m also a huge fan of Greek food, but I’d really do unspeakable things for good Neapolitan style pizza. I can’t imagine eating one of any one thing forever, that’s a nightmare. I would starve to death after 1 week. You currently live in Delray Beach. Name your favorite thing about living in Delray. I think Delray strikes a good balance between being a historic village/cultural center and also being up and coming, vibrant, and providing great nightlife options for young professionals...and Delray has an amazing beach. In your opinion, where in Delray can one find the best old fashioned? Where is your favorite place to just hang out in Palm Beach County, that’s not at home? Subculture Delray, it basically is my home now. What is your go-to order at Subculture Coffee? Who is your favorite character on said TV show? Again, I guess I have several. I love the Bond franchise for nostalgic reasons and I respect how long it’s endured...that being said, a lot of those movies are terrible. Also, the Star Wars series with the exception of the prequels and The Last Jedi. Don’t @ me. I’m a total comic book nerd, so a HUGE fan of the MCU, the scope and vision of what they’ve created is incredible. Gamechanger. The board is well aware of the fact that you’re a huge Marvel fan. What is your favorite Marvel movie? Thor: Ragnarok is my most recent favorite. I love the Guardians movies too. If you had access to own one of the infinity stones from the Marvel universe, which one would you choose and why? Definitely the time stone, seems like the most versatile and you could use it to get the other stones. It’s like if you have a genie with 3 wishes, first wish-more wishes. Game the system. If you had to have the superpowers of one Marvel superhero, what would you choose? Thor, he’s a God...and he’s like 1,000 years old. He can also sort of fly. And he’s the tallest. Still at Subculture because I never stop working. Also, the beach. Pandora from Avatar. Like why do those islands float? ...there’s clearly normal gravity everywhere else. I think stand your ground needs to be overturned, I’d also love to see non-violent felons have their voting rights restored, and I’m very passionate about environmental protections. Charcuterie board from Death or Glory in Delray. Lobster roll from Over The Bridge in Delray. Oxtail from Rocksteady Jamaican Bistro in Boca. A rack of ribs from Ceasar’s in Delray. Some Duck chicharrones from Kapow in West Palm Beach. Ice Cream from Proper Ice Cream in Delray. Ok...so I don’t get outta Delray much. Also, include like any cocktail from Sweetwater in Boynton. Unfortunately, I’m sworn to secrecy. I can say the process involves industrial-grade lasers, a witch doctor, and an assortment of essential oils derived from deep within the Amazonian rain forest...and I can still get ready far quicker than Alex Ayala. You currently serve as a Palm Beach County Soil & Water Supervisor--what is your favorite part of serving in this position? Ahem...Vice Chair. The Ambassador to the Everglades program where we transport 600 high school students to Mounts Botanical Gardens and the Loxahatchee National Wildlife Refuge to learn about conservation is really awesome. Also, our staff does an incredible job with the irrigation surveys they perform all over the county, so I’m happy just to make sure they’re getting everything they need. 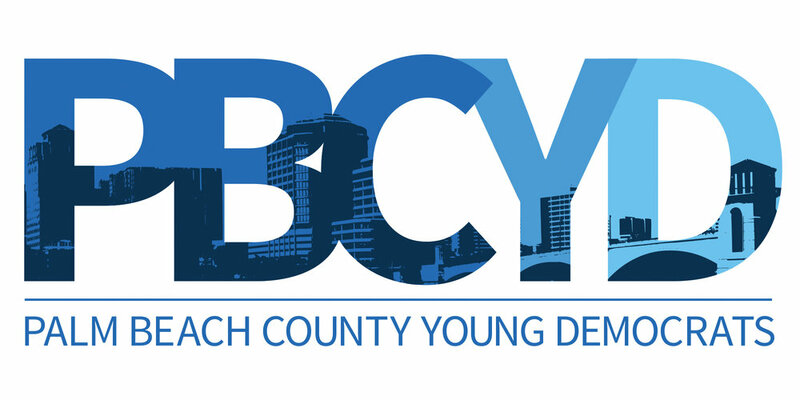 What is your favorite part of being President of PBCYD? I love encouraging our generation to actually get out and make a difference and fight for what we all believe in. It’s been extremely rewarding to see how many people have come out of the woodwork recently that weren’t previously engaged in politics or public policy at all. People are just so outraged by what’s going on in our country and empowering them and just offering them that outlet has been great.